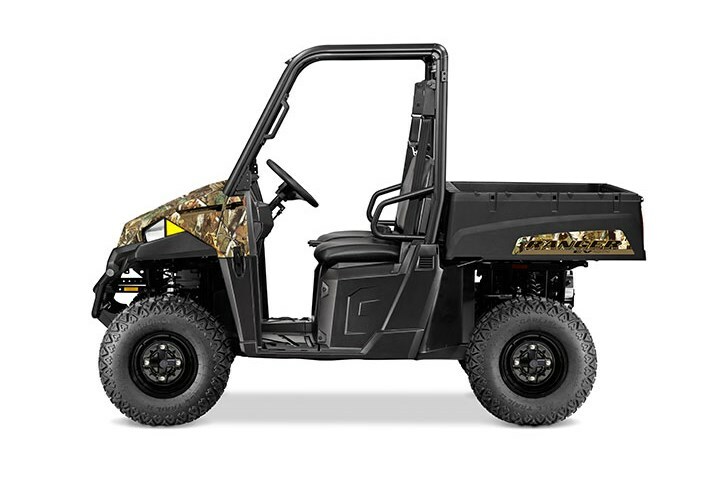 Strong 30 HP Motor The RANGER EV features a strong 30 HP/48V AC electric motor, allowing for clean and quiet operation. Alternating Current (AC) is more efficient and extends range. Electric Advantage A quieter machine for operating inside barns or for stealthy trips to the deer stand. The RANGER EV never needs gas, requires very little maintenance, and works harder and rides smoother than any other electric vehicle in its class. Dump Box with Lock & Ride Cargo System With a 500 lb. (227 kg) capacity gas-assist rear dump box and a Lock & Ride cargo system that accommodates accessories that go on and off in seconds, RANGER EV is the perfect partner for work and play. Class-Leading Towing Now with 20% more towing capacity – 1,500 lbs. 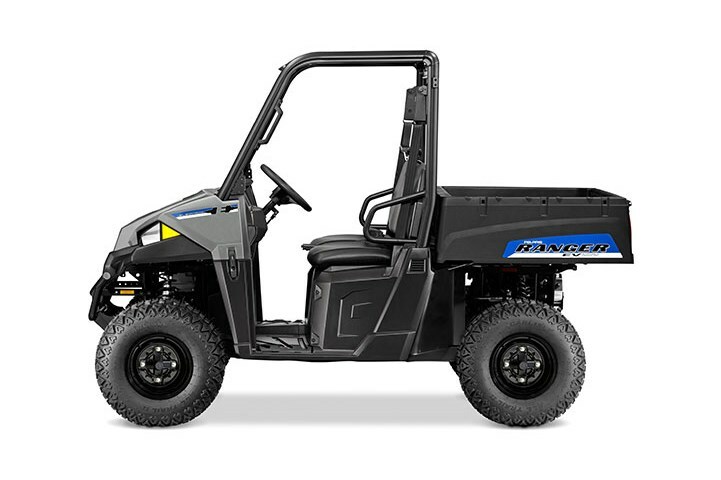 – and standard 2” receiver, the RANGER EV allows you to tackle the toughest jobs with confidence. All-Day Riding Comfort We designed the RANGER EV with an ideal seat height and wide foot clearance for easy entry and exit, bench seats designed for all-day riding comfort and standard tilt steering wheel adjustment. Smooth Riding Suspension A full 9” (22.9 cm) of suspension travel in the front and 9” (22.9 cm) of Independent Rear Suspension travel in the back plus turf-friendly Carlisle tires ensure a smooth ride on every type of terrain. Nimble Handling The RANGER EV is an agile powerhouse with a tight turning radius and a full 10” (25.4 cm) of ground clearance. Plus, a 58” width allows it to fit in the bed of most full-size pickups for easy transport. 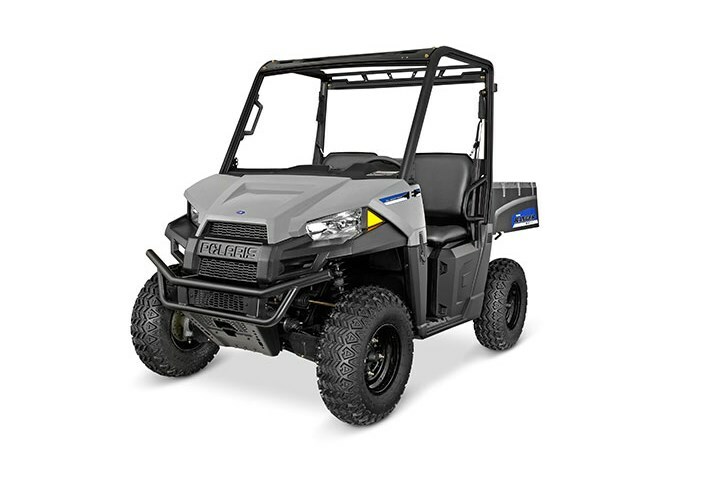 Full Line of Polaris Engineered Accessories Make your RANGER even better with Polaris Engineered Accessories™. 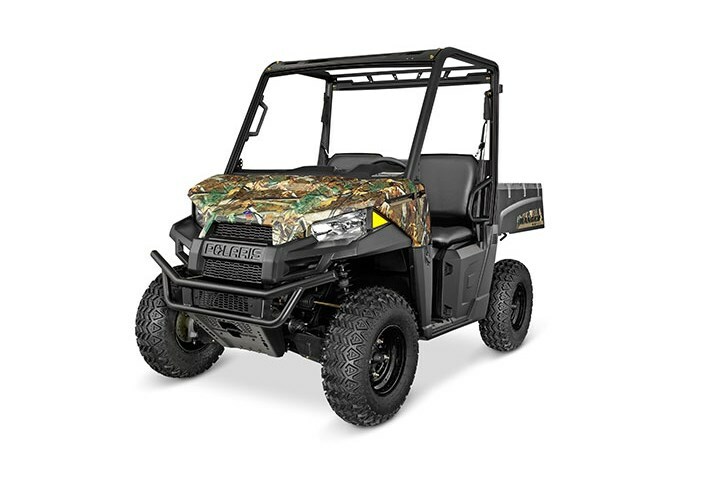 With more than 350 accessories available, and Polaris-exclusive technology like Lock & Ride®, you can feel confident that Polaris Engineered Accessories™ will improve your ride, from the back yard to the deep woods.